TeenHelp Blogs Project Blog Newsletter #50 - Volunteer at TeenHelp; learn about Autism Spectrum Disorder; how to work toward a specific goal. Newsletter #50 - Volunteer at TeenHelp; learn about Autism Spectrum Disorder; how to work toward a specific goal. TeenHelp is run entirely by volunteers and we always welcome new people to join and help us out. We have a range of different roles and tasks available. If you are interested in providing support and advice, you could become a HelpLINK Mentor or Live Help Operator. If you would like to help new users familiarise themselves with TeenHelp and feel like part of the community, you could become a Buddy. If you enjoy leading discussions, why not consider becoming a Chat Mentor? Or, if you enjoy sharing useful information with others, you could take a look at our Videos or Social Networking Teams. Once a Staff volunteer, you then have the opportunity to progress by applying for additional roles such as Moderator to keep the community safe, Newsletter Editor to keep people informed, or one of our committees to help run TeenHelp at a higher level. For further details please visit our Volunteer page. In the early parts of the 20th century, there was a violent conflict between the Ottoman Empire and the Armenian population, which resulted in high casualties and a lingering sense of unease. This article outlines the nature and causes of the genocide, as well as the aftermath. It can be hard for someone in a relationship with a victim of sexual abuse to be able to understand their partner’s particular needs. This article lists some simple but thoughtful tips to follow in order to best support your partner, as well as some words of warning regarding what not to do. Autism Spectrum Disorder is something that many people are aware of, but few understand. This article reveals some of the basics, such as symptoms, diagnosis, and risk factors, as well as some sobering thoughts about the way we consider such disorders. Work addiction is becoming more prevalent in today’s society, typically due to financial pressures. This video will cover what a work addiction is, what the drawbacks or symptoms of it are, and what is the treatment is. There are many different ways to stop binge eating. This video takes a unique approach to getting yourself to stop binge eating, by utilising your feelings and basic abilities. Watch this video to learn more. Sometimes we may have to deal with difficult bosses throughout the course of our career. In this video, Dr. Debra Davenport discusses some helpful tips to work with, and how to mediate your relationship with your boss. Though you may have a good relationship with your boyfriend, unsuccessfully dealing with his friends may prove to be a deal breaker. Watch this video to learn about how to get along with his friends, which ones to avoid, and how his and your friends play a role in your relationship. Sometimes we forget to apply protective lotion before we leave the house and find ourselves moderately sunburned by the time we arrive home. Watch this video to look at a unique and cost efficient way to treat your sunburn. PTSD Coach is a free mobile application that was developed by the United States Veteran Affairs Office to aid military service members with Post Traumatic Stress Disorder (PTSD) recovery. However, as PTSD cases began to rise in the United States, the government released the application to allow all those who struggle with PTSD to get help. By using the PTSD Coach application, you are provided with resources ranging from educational awareness about PTSD to getting professional care. PTSD Coach also offers you tools for relaxing, positive self-talk, anger management techniques, and much more. PTSD Coach is considered suitable for people aged 12 and over, and is very user friendly. Available for free on Apple and Android devices through their application store. Achieving a goal can be one of the hardest tasks to do, especially when you don’t know where to start or how to get to the finish line. Goals come in many different shapes and sizes, and can range from easily achievable things to something that seems nearly impossible. All goals, however, require work. Here are some beneficial tips to reach your intended goal. Clearly write out what your goal is. Whatever your goal may be, write it down and place it where you can see it on a daily basis. Find out what walls you will have to climb over. In simple terms, what steps do you need to take to reach this goal, and what possible issues or problems may occur when attempting to reach it? So, for example, if you want to buy a new car, not getting extra hours at work may be a wall that you will have to climb. Once you determine what walls you need to get over, take a look at all the different ways you can go about solving the problem. Back to the car example, picking up a second job would be a solution to getting more work hours. Remind yourself why you want to achieve the goal in the first place. Sometimes during the process of working towards the goal, we get discouraged and we forget why we even wanted to achieve that particular goal. Write down the reasons of why you want to reach that goal to continually motivate yourself through rough times. Take the necessary steps toward the goal. People often just stop after doing the above three steps. While the above three steps are necessary for your success, they alone won’t accomplish the goal. Take the steps needed to work towards the goal and put in the same amount of effort, time, and determination that you think it deserves. And yes, in some situations, you have to be willing to sacrifice things to get what you want, but in the end you will only get what you've earned. If you are thinking about ways to brighten up your house this spring, then consider bringing house plants into your home, not only for their colour, but for the health benefits, too. Here are a selection of house plants and their benefits. Snake plant - This plant is ideal for the bedroom, as it converts carbon dioxide into oxygen at night. It also helps to purify the air by filtering formaldehyde and benzene, which can be found in some toiletries, making the bathroom another ideal location. It does not take a lot to look after this plant, as it requires little water. Orchids - These plants can bring a calming yet colourful cheer into any room. They are particularly good for bedrooms as they also release oxygen at night. Aloe Vera - This plant is good for improving the quality of air indoors, as well as its healing properties. 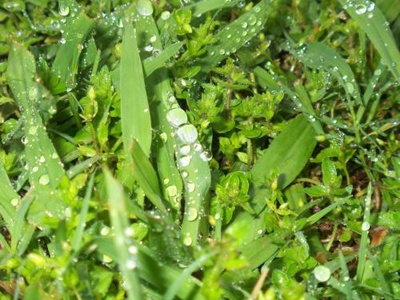 The gel contained within its leaves has been known to help heal cuts and burns, and has a soothing effect on sunburn. It is also another plant that does not need a lot of water, is very easy to grow, and you can even cultivate more plants from it. English Ivy - This plant is effective in removing a considerable amount of airborne mould, making it good in damp conditions. It also helps to purify the air. Gerbera Daisies - These vibrant flowering plants are usually available in red, orange, yellow or pink, and have the added bonus of removing benzene and other toxic chemicals, as well as releasing oxygen at night. Caution: Some plants are poisonous, so keep them away from pets and young children. It can be difficult to know what to include in a valedictory speech. Read this thread for some tips, and to add your ideas. We often forget the things in life that make us feel good, but turning to those very things can help us get through difficult times. What makes you happy? Why is it okay to lie to children about Santa? Traditions tend to get passed down in society. Do you think it's unethical to lie to children about Santa? Share your views here, and see what others have to say. Sometimes you just can't find the time to prepare a complicated meal. Discover some easy healthy recipes here, and suggest some of your own. Originally posted by AnInspirationalBeliever, this motivational message is a must read for all. If you are struggling, it may help inspire you into action and empower you to change the situation that you are in. A user returns to TeenHelp, after some time away, with an update on the changes that have taken place in her life since she last visited; proof that things really do get better. Throughout our lives, we encounter many people, some of whom may be cruel. Join this group for support, and to discuss how to stand up to people. Unleash your strong side; you are stronger than you may realise. If you are suffering from post-traumatic stress disorder, this group is here to remind you that you need not suffer alone. Join this group to receive support, to share your experiences, and to find out what coping strategies have worked for others. Relationships between family members, friends and significant others each come with their own difficulties, but knowing how to overcome the obstructions to your relationships is essential if they are to be fulfilling for you. Join this discussion to look at how to build positive relationships with those you care about. If you are aspiring to achieve good grades throughout your school life, it is important to adopt effective study skills. This discussion will help you to develop good study habits, including creating the optimum study environment, avoiding distractions, time management, and more, as well as answering any questions that you may have. Whether you are in school, university or the world of work, maintaining your productivity is an essential part of life. Join this discussion to learn how to stay focused, plan your workload effectively and fight off the temptation of procrastination. Our body image is how we feel about our bodies, and does not depend on our size or shape. Achieving a positive body image can be difficult, but you are not alone. Join this discussion to learn how to resist the social pressures and the media, and to feel comfortable and good about your body.